A comprehensive and team approach is an important part of keeping students with food allergies safer at schools. In fact, the CDC’s Voluntary Guidelines for the Management of Food Allergies in Schools and Early Care and Education Programs recognizes that food bans cannot gurarantee a totally safe environment and they recommend alternatives including allergen-safe zones. One vital team member is the school nurse, who is usually the medical expert on site. Jessica Gerdes is a school nurse consultant and member of the National Peanut Board Food Allergy Education Advisory Council, who shares her expert advice with Sherry Coleman Collins, MS RDN, LD, in this Q&A about how the school nurse helps manage food allergies in schools. SCC: What is the role of the school nurse in managing food allergies in schools? JG: The role of the school nurse begins with prevention. A school nurse can promote and guide creation of a prevention plan and process, and monitor for its implementation. In some states a districtwide food allergy management plan is mandated. The plan reviews specific prevention protocols which may include: restrictions on outside food being shared in class (other than prepackaged food with clear ingredient labels); knowledge of food allergic status by school staff who work directly with those students; food substitution orders from a medical provider (according to USDA and state laws and guidelines); and perhaps creation of a Section 504 food plan for a student with food allergies. After prevention comes intervention. A school nurse can teach all staff about the signs and symptoms of a serious allergic reaction and who among school personnel are equipped to provide emergency medication. She or he can review with the allergic student how to use an epinephrine auto-injector by using a “trainer” injector with no needle and no medication. The school nurse also may develop a protocol for obtaining “stock” epinephrine for use on anyone who is demonstrating signs and symptoms of anaphylaxis. SCC: Are there nurses in every school to help manage conditions like food allergies? What do schools do when there’s not a nurse on site? JG: There should be a school nurse in every school, or a school nurse near every student for this and other emergencies. Unfortunately, funding is often not used for this potentially serious lack of personnel. When there is not a nurse on site, school staff are still expected to recognize any life-threatening emergency and summon emergency services. As for the specific issue of anaphylaxis, students with allergies should carry with them and know how and when to use epinephrine. When a student is not able to use his or her own epinephrine, there is usually a staff member trained to administer. Most states allow or require that schools have stock epinephrine and trained users available if a student did not bring his or her own dose to school or a person is suffering their first serious allergic reaction. SCC: What are the key points that parents should be sure to bring up with their school nurse as they discuss managing food allergies in schools? JG: Both the parent and the school want to keep the student safe, first and foremost. Parents should bring to the school nurse a student’s own source of epinephrine with orders from the medical provider, in accordance with their school policy and state laws. If desired, the parent can request a Section 504 disability accommodation plan, which the school nurse can help facilitate and which should include the student’s teachers and other key school staff members, especially if the child is young. The parent should ask about the required food/dietary substitutions form, as this form should be completed by the student’s medical provider. SCC: How do nurses work with others in the school, including the school nutrition staff, student services, and transportation to keep kids with food allergies safer? JG: By helping to create a prevention plan for the entire school and an intervention plan for a specific student. All staff, from the time a student leaves home to returns home, who has anything to do with that student, should be informed of the student’s serious allergies, educated about signs and symptoms of a serious reaction, and trained to carry out the emergency action plan when the time comes. SCC: Is there anything else you would like people to know about the role of school nurses in schools around food allergies? JG: Most school nurses are Registered Nurses (RN), some are LPN (licensed practical nurses). A parent should ask specifically if the person the school refers to as the “school nurse” is really a nurse; only RNs and LPNs (as well as advanced practice nurses, who are RNs) are permitted to be called “nurse” in any setting. 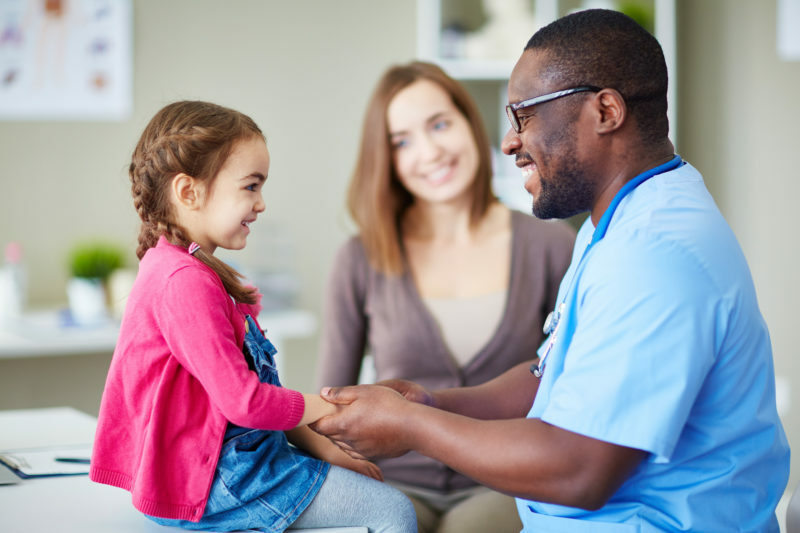 A parent can then have some assurance that the person responsible for their child’s health care in the school setting has the licensure and training of a qualified health care professional to assist the child with the allergy issue as well as any other health issues that may develop. Jessica Gerdes is a registered nurse and a full-time consultant to the Illinois State Board of Education, working on school health issues, policies and practice. She represents the National Association of State School Nurse Consultants (NSASSNC) on the National Peanut Board’s Food Allergy Education Advisory Council. She holds a master’s degree in public health nursing and is nationally certified in school nursing. Gerdes was not compensated for this content.